Happy Family Seventh-day Adventist Church in Guam certainly lives up to everything their name suggests. 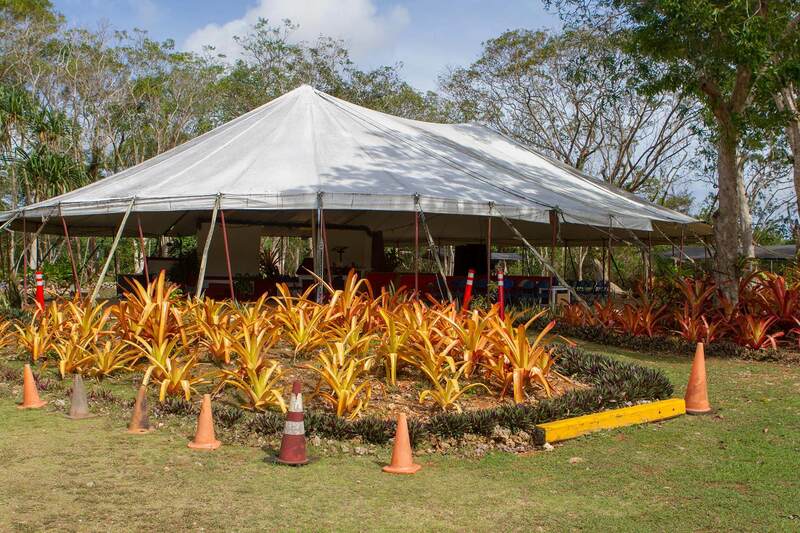 The church — formed after a Happy Family evangelistic series in the early 2000s— meets underneath a large, old-style revival tent on a 4-acre piece of land. These dedicated members tirelessly work to pay off the land by selling produce grown on the church property, holding yard sales and car washes, and many other fundraising projects. Once the land is completely paid for (hopefully in October 2019), the church members plan to continue working towards raising funds for a church building they can call their own. Happy Family Church owns an early 1990's tractor that they use to work their land —well, when it works, that is. The 30 horsepower Ford model 1920 tractor is currently missing a front wheel and has two back wheels that need to be refilled with air every week. When they are able to use the tractor, it still does not have enough strength to pull the church’s box scraper and tiller. A working tractor is needed for the weekly grounds maintenance, gardening, and other projects to help the church raise funds to pay off the property and build a church. Happy Family Church hopes to purchase a 40-50 horsepower four-wheel drive tractor with a front loader to make more gardening and grounds maintenance possible. 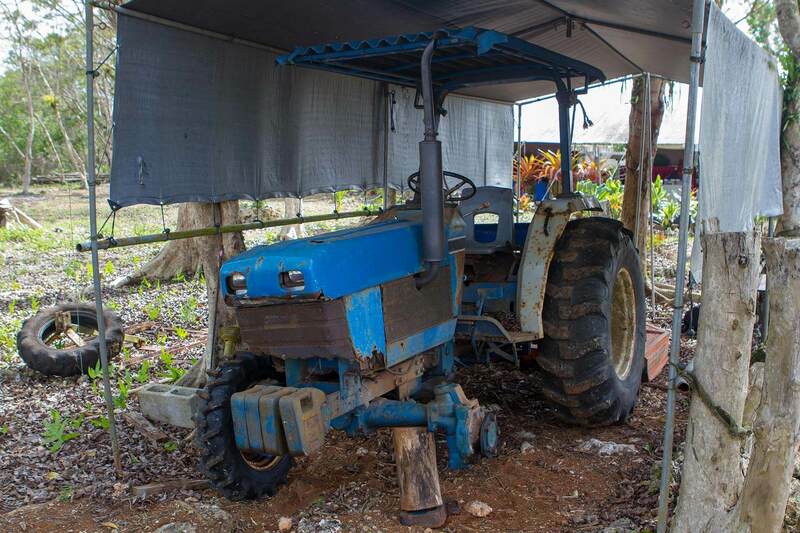 There are no tractors to purchase in Guam; therefore, the church will need to purchase a tractor from another part of the United States and have it shipped to Guam. The church would also love if a tractor that fit their needs was donated so they would only need to cover the shipping costs. Happy Family Church would love your support in raising $8,000 for the purchase and shipping of a much needed tractor for their land.